100 Medical Milestones That Shaped World History is my second book. It was conventionally published and a work-for-hire project (IE no royalties). It is one of a series of books that give an overview of a topic, which includes 100 Men Who Shaped World History, 100 Women, 100 African Americans, 100 Writers and so on. The intended audience is students and interested laymen. Surprisingly, it's really not outdated despite its publication in 1998. "Althought this book can provide a quick overview of the panorama of the main medical discoveries, which actually seem to be well selected, I expected a deeper and less fragmented cultural insight. While the elementary informations provided might be interesting for non professionals, I would rather advice 'Cambridge illustrated history of medicine' for those who are willing to read a good history of medicine on a complete wide cultural and general history background." "Thank you for your comments. You are certainly correct, this is not a book meant for medical professionals. This is an overview of the 100 Medical Milestones, intended for young adult and adult readers interested in the history of medicine. Best regards, Ruth"
Note: Right in the product details it clearly states that it's intended for ages 7 to 12 and grades 2 to 7. (I didn't choose those age ranges, I'd put it closer to ages 12 to 18 and grades 6 to 12.) You can't fix these kinds of ridiculous reviews, so the best thing to do is laugh them off and move on. My first indie book was The Soul of California – Cooking for the Holidays. I have recipes that I'd refined through the years and after being asked for a recipe yet again, I decided I should go ahead and put together a little cookbook of my favorite holiday recipes. "excellent, very good description of the book. good facts and tips. I am sure your family loved to eat at your house. fast delivery"
This is a sweet little review. It's a quick but good review with positive statements. It doesn't take a lot to help an author along. A star rating plus a few words is all a reader needs to write. A simple "It was good, I liked it" is a good review. You can't expect every reader to understand your book or leave a review. Even poor reviews are reviews and you shouldn't worry unless there are a lot of them. If there's numerous reviews mentioning a plot point, grammar, punctuation or formatting errors, then you should take another look at your work. Nobody is perfect and it's really easy for errors to creep in. Believe me, when I worked in publishing, the boss, editor, proofreader and designer (that would be me) looked every book over and then we all reviewed the proofs again before the book was printed. Yet there were always mistakes and typos. It happens. I want to encourage all of you who don't have any reviews (yet) or maybe a couple of less than nice comments on your books. Don't be discouraged. Everybody has an opinion and sometimes they stink, but a review is a review. Somebody cared enough to take time to sit down, log in and write out their opinion of your hard work. Reviews aren't everything and the opinions of others don't define you as a writer. Even great writers get lousy reviews! Just keep writing and eventually you'll find your audience. 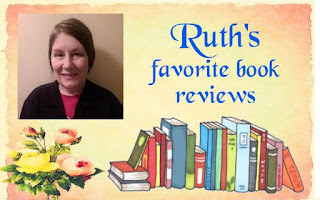 Today on #OurAuthorGang, author Ruth de Jauregui does a very brave and brilliant thing: she shares a negative review because not every review is positive and glowing five star. So true! I admire you for sharing these with us. I don't have that kind of courage and confidence. I never respond to any reviews -- good or bad. But you can learn from both. I like how you reinforce that everyone has an opinion and it might be negative. Lots of positive reinforcement for all of us is within this small piece. Check out some of Ruth's reviews. Thanks for sharing your reviews Ruth. Thank you Chris. Happily, I'm pretty thick-skinned so the 2-star review seemed more silly than anything else. Wow, thanks for sharing your reviews, Ruth. While negative reviews are inevitable, criticizing a book for being what it' supposed to be is a little silly. Thanks for your positive outlook and encouragement. Thank you Toi! Sometimes you just have to laugh and move on. Or shake your head. At least the review had a few positive notes too. Oh dear, some people really don't get it do they. Your other review clearly makes up for that silly one. Yes, I agree. Thank you!! You are correct here, Ruth. And I view book reviews along the sam lines as those Movie Critics. It's just someone's opinion based on what they think will be a good or bad movie. We all have different views. Congrats on the five star review for your first book too. Thank you! And yes, reviews are important, but a poor review isn't the end of the world. It's just one person's opinion. +Ruth de Jauregui Exactly. I let those slide right off my back. Reviews are subjective and modified by individual bias, therefore, not every review is a reliable source of information about a book. Had this readers read the description and age recommendation of your book, most likely they wouldn't have read the book because it clearly states that it's written for children and not for medical professionals. Really!! The series did well for the company, so obviously a number of readers "got" that they were for a middle grade market. Thank you!